Russian Interior Ministry proposes tougher penalty for online drug propaganda | Russian Legal Information Agency (RAPSI). 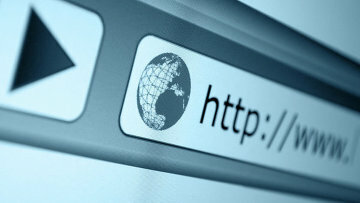 MOSCOW, January 10 (RAPSI) – Russia’s Interior Ministry has drafted a bill toughening penalty for owners of websites and hosting providers distributing prohibited information on narcotic drugs and psychotropic substances. The document has been published on the official website of draft laws and regulations. Current fine sanctions for online drug propaganda do not fully prevent further offences, an explanatory note to the bill reads. In 2017, the Interior Ministry considered over 47,000 e-applications from Russia’s communications watchdog Roskomnadzor and accepted more than 20,500 expert decisions to block websites disseminating banned information on drugs. Under the bill, propaganda of narcotic drugs, psychotropic substances or their precursors would be punishable by fines ranging from 5,000 to 30,000 rubles for individuals and from 50,000 to 100,000 rubles ($1,500) for officials. Moreover, the initiative toughens penalty for the Internet service providers’ failure to restrict or reopen access to certain website basing on the reports received from Roskomnadzor and also introduces punishment for repeated violations of this type. Presently, fines for such violations may reach as high as 5,000 rubles for officials and 100,000 rubles for companies, according to the bill’s sponsors.